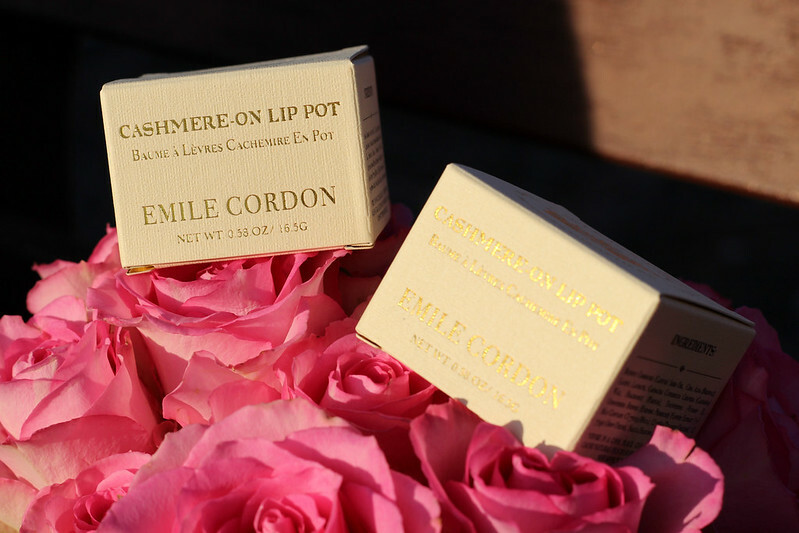 You probably read the title of this post and thought what and who is Emile Cordon and what's a Cashmere-On Lip Pot? I'll admit I thought the exact same thing when I got an email from them to ask if I'd like to try out their products. 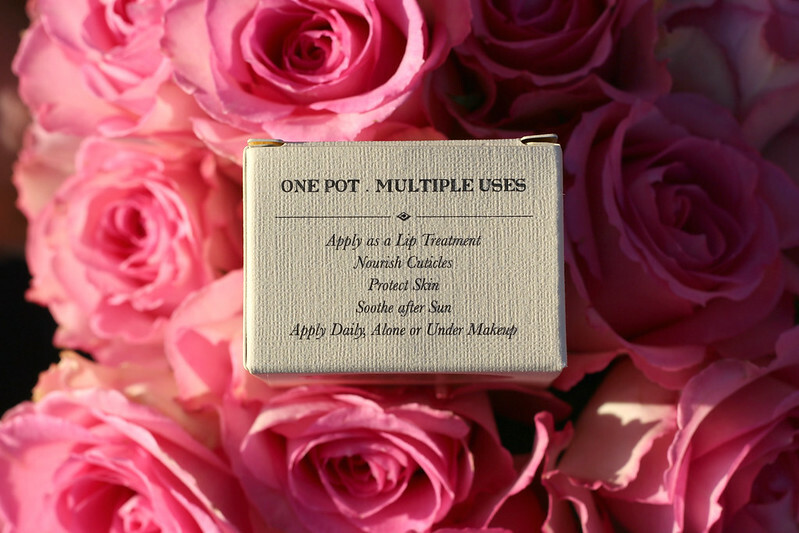 I was immediately intrigued because I'd never heard of the brand before but I'm always interested in discovering new brands and new products so I agreed to try them out and very soon afterwards, I received a lovely package with two Lip Pots in it. 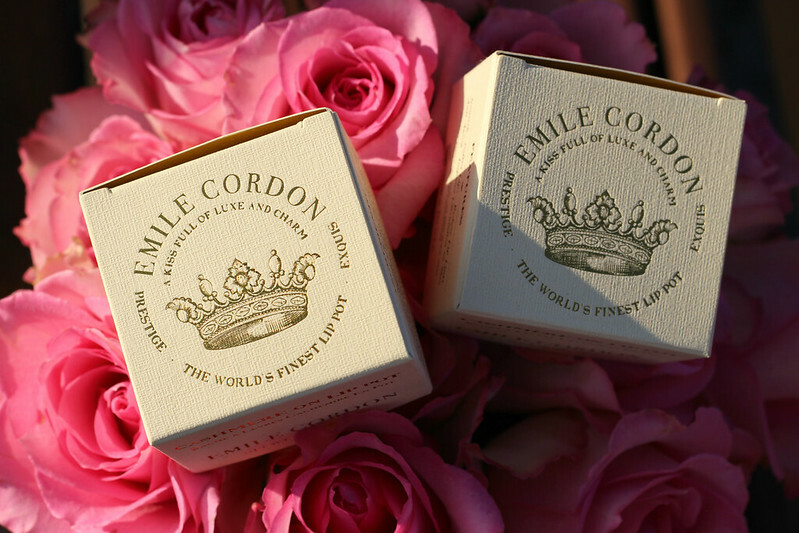 The reason I'd never heard of Emile Cordon is because it's quite a new brand, in fact it only just launched earlier this year. It was founded in 2016 by a French chemist who is now retired but has been living in New York for over 20 years. When she was young her grandmother used to make homemade multi-purpose balms for her family. After her grandmother passed away she missed the little balms she used to make so she started making them herself but adding her favourite scents and colours to the simple recipe her grandmother used and so the Cashmere-On Lip Pots came about. 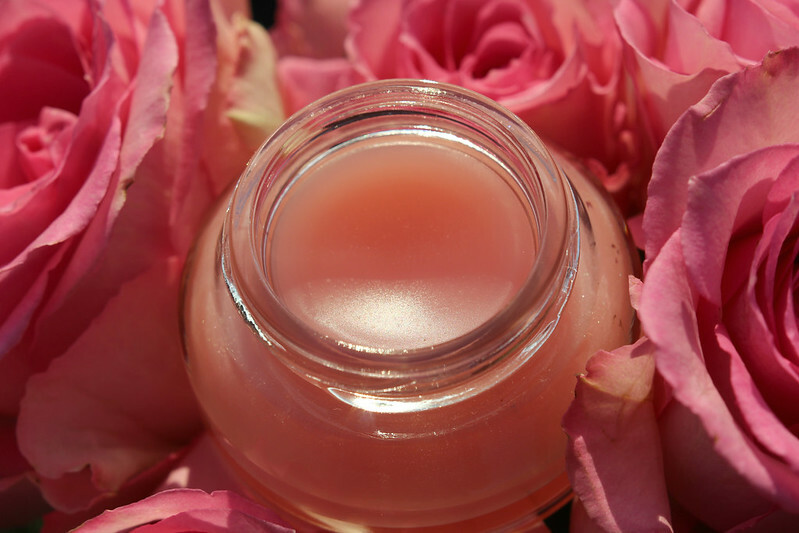 The Lip Pots are multi purpose, they can be used as a lip balm, to nourish your cuticles, to protect the skin and to soothe the skin after sun exposure. The formula contains castor seed oil, which is an emollient as well as being an anti-inflammatory. Beeswax which again is anti-inflammatory, anti-bacterial, it protects and heals the skin and softens it. 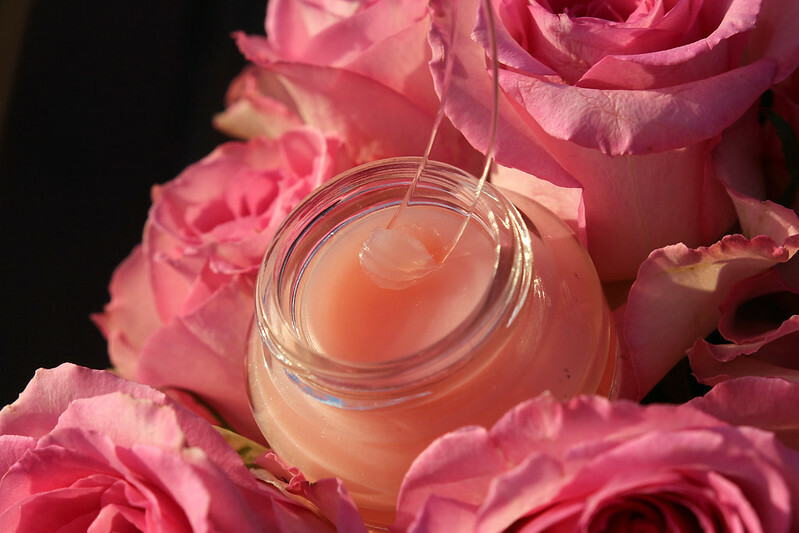 Lauryl Laurate which conditions the skin, Vitamin E and Evening Primrose Extract which again soothes and softens the skin and is a good anti-inflammatory. 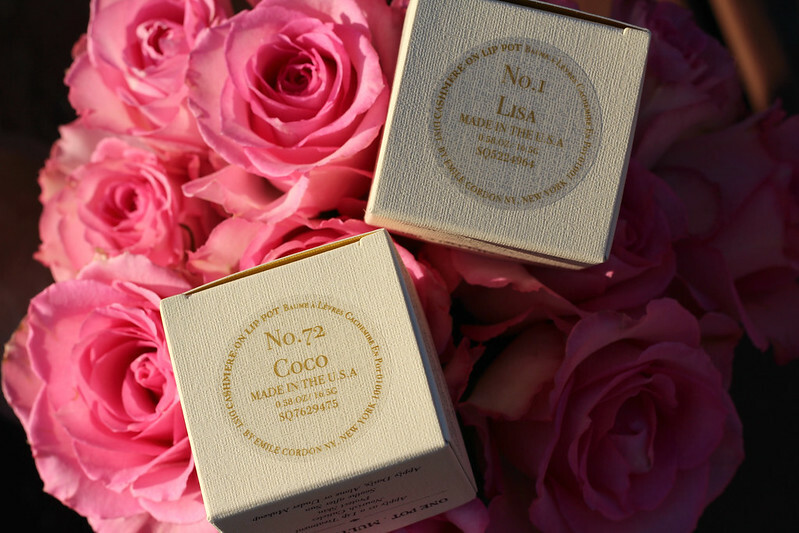 I was sent two of the pots- Lisa, which is scented with rosé champagne, fresh tea rose and strawberry leaves and Coco, which has a scent of coconut cake, vanilla accord and powder sugar. There are three other scents, Olivia (mint), Dorine (neroli and lemon) and Pamela (mediterranean fig). I definitely prefer Lisa out of the two, it has a gorgeous strawberry/rose scent that's not too overpowering. Coco has more of a sweet vanilla coconut scent which I like, but not as much as Lisa. I like that this is a multi purpose balm, I tend to keep it on my bedside table and apply it on my lips and cuticles at night. I had a cold recently and I applied it to the skin around my nose to help heal it after blowing my nose so much and it worked wonders which is down to the soothing and anti-bacterial ingredients. The first thing that I noticed about the lip pots was obviously the gorgeous packaging. Rarely does lip balm feel so luxurious, most of the lip balms I've tried have been in squeezy tubes or stick form. 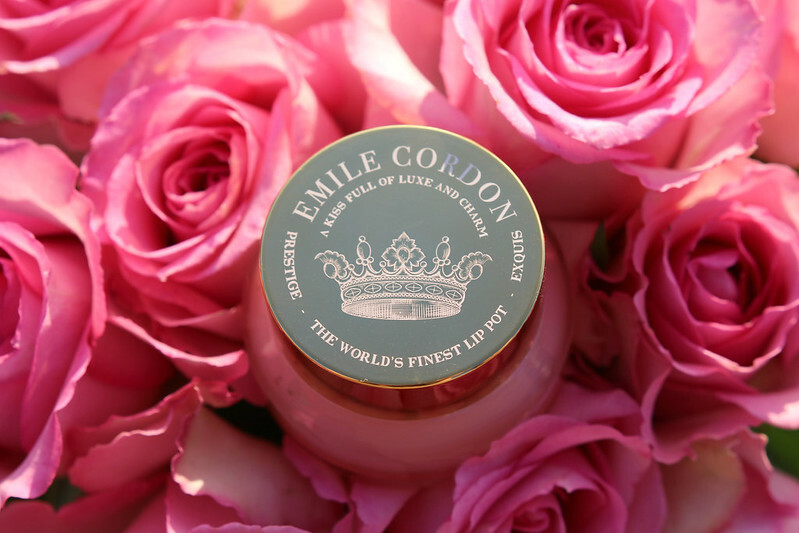 The Emile Cordon ones come in a box and inside is a little glass jar with gold lid. You also get a little spatula so that you can scoop out your desired amount of product more hygienically. I really like this little feature because I find lip balms that come in a pot last for quite a long time so it's nice to be able to use the spatula instead of using your finger all the time. The most similar lip balm I have to these ones is the NUXE Rêve de Miel Ultra Nourishing Lip Balm, the product itself is quite different as it's a much thicker matte lip balm but it also comes in a glass jar and because of that I keep it beside my bed to use at night rather than bringing it out with me as I wouldn't like applying it with my finger when I'm out and about and I'd be worried about breaking the glass jar. As for this formula, it's incredibly soft and smooth. When I've applied it with my fingers it actually melts from the heat of my skin slightly and feels like silk on my lips. It also gives quite a shine when I first apply it but it does sink into my lips and the shine wears off a bit. I was browsing on the Emile Cordon website and they have also suggested using it to tame brows, to highlight cheekbones and as an eyeshadow base for dewy eyes. I've tried it on my cheekbones and it's such a good idea because it gives a natural, glowy highlighted look. I've also tried it on my eyelids because I've been loving the glossy eyelid look recently. You can apply it under or over eyeshadow depending on the look you want to achieve. I wanted to compare the Emile Cordon Lip Pots to some similar products and two that I could find are the Omorovicza Perfecting Lip Balm which is €45 ($42/£32) for 10g and the byTerry Baume de Rose which is €46 (£39/ $60) for 10g. They both share quite a few ingredients with the Cashmere-On Lip Pots which costs $42 (approx. £32/€36, not sure exactly as there is only the price in dollars not he website) and you get 15g of product. I haven't tried the other two so I can't comment as to which is better but I was curious to see if there were similar products at a similar price point on the market because when I first saw the price I thought it was quite expensive for a lip balm. However everyone raves about the byTerry one and that's more money for less product with a very similar ingredients list (the Lip Pots have less ingredients). On the other hand, one of my favourite lip balms that I've loved for years is the aforementioned Rêve de Miel which is only €12 and for that you get 16.5g of product. Despite the price difference I wouldn't have a problem spending $42 on a lip balm because they last for such a long time that you do get value for money, especially if the ingredients are good (and who can say no to beautiful packaging). I'd have no problem paying three times the price for my Rêve de Miel because it lasts me about 9 months of using it once per day. I'll be interested to see how long the Lip Pots last in comparison but at the moment I'm absolutely loving using them and I think it's going to be a while before I run out of lip balm. 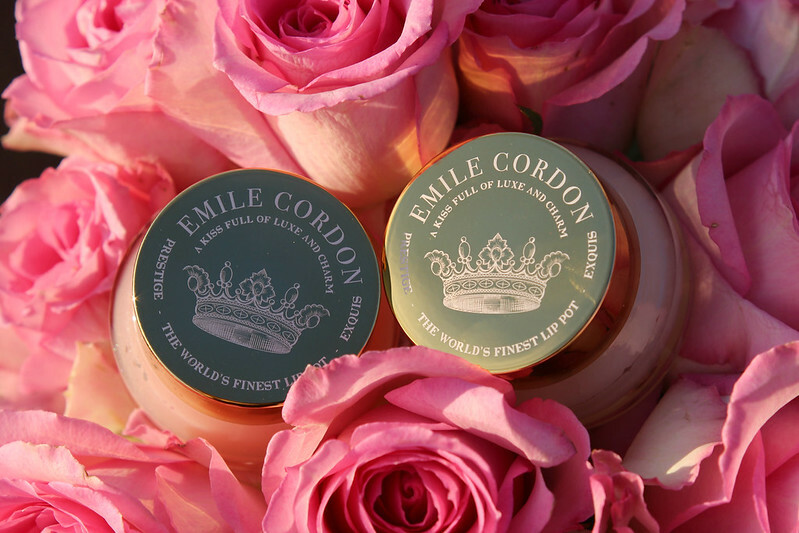 Emile Cordon also ship internationally from their online store. 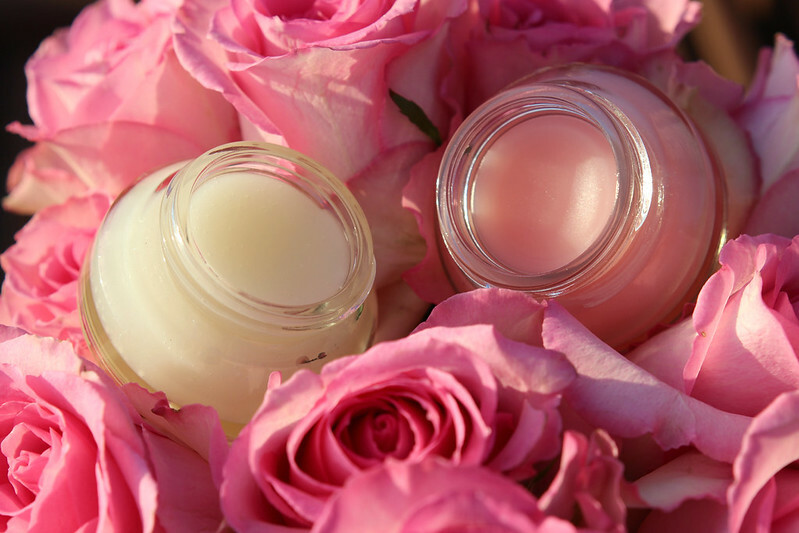 Have you tried any of the lip balms I've mentioned? What's your all time favourite lip balm?